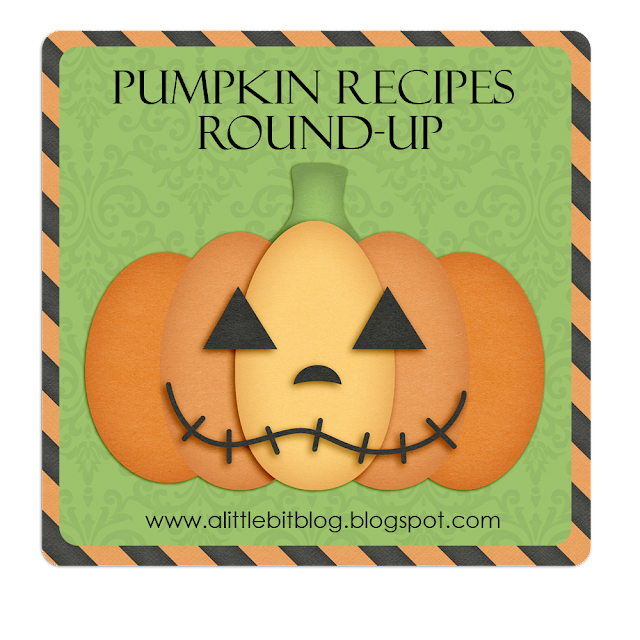 Welcome to the "Little Bit Blog" Pumpkin Recipe Roundup! Growing up, I couldn't stand foods that had pumpkin in them. As of the last year or two my palette has changed and I just can't get enough. Now I'm making up for lost times, by trying new pumpkin recipes. I've added a few recipes that looked good in the bar below, but if you keep scrolling down, you'll be able to see where you can add your favorite pumpkin recipes also. Testing out the numbering system.